We almost dismissed it as an April's Fool joke when we first read about the Copenhagen Wheel, an invention by some very smart people from MIT. It just sounded and looked to good to be true! 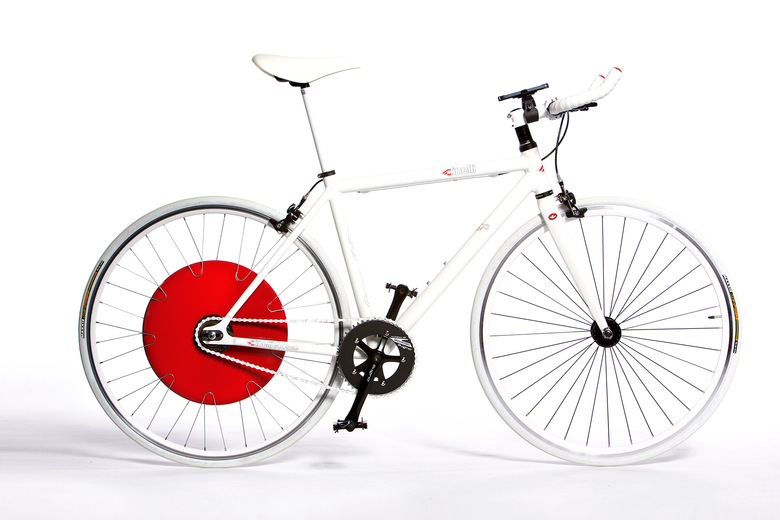 The Copenhagen Wheel transforms your bicycle into a smart electric hybrid, quickly and easily. The Wheel contains a motor, batteries, multiple sensors, wireless connectivity, and an embedded control system. The Wheel learns how you pedal and integrates seamlessly with your motion, multiplying your pedal power 3x—10x. It makes hills feel flat and distances shrink, so you can cycle just about anywhere.